Written to help people who teach, facilitate, coach, train or consult to build leadership capacity in others be better at their work – and for those who aren’t involved with leadership development work yet, but want to learn the basics of how to do it well. 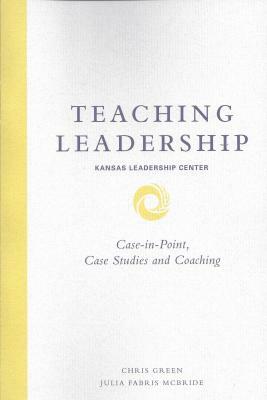 Teaching Leadership is a comprehensive guide to the Kansas Leadership Center teaching, training, facilitating and coaching methods/ideas. This publication includes the KLC curriculum, case studies and overview of case-in-point teaching method.